"REDUCE, REUSE & RECYCLE" and the value, fun and excitement of learning to play a musical instrument. spanning either 45 or 60 minutes. The show can also be tailored to fit between 15 and 75 minutes. for setup. A full P.A. system is provided. Group sizes from 100-500 people are recommended. Please contact us for a quote. Book a second performance in the same day and receive 10% off. 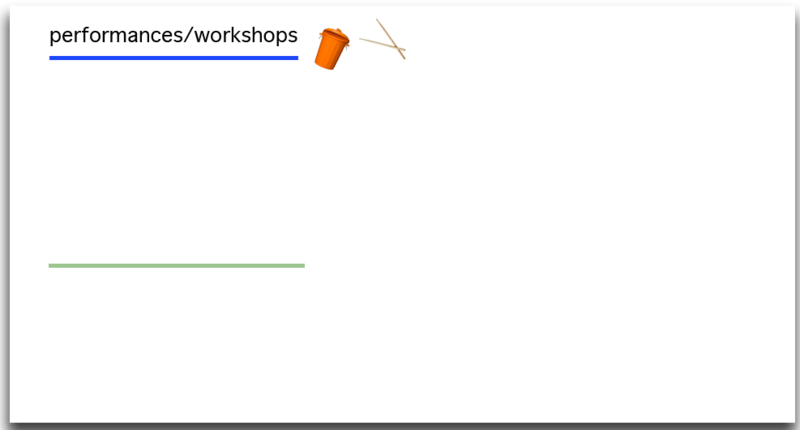 Workshops are also available. We ask that there be no more than 50 participants per workshop. group setting. A performance composition will be created in each workshop. for the most unique instrument built by the students. Book a performance and 2 or more workshops to receive 10% off. Contact us today for pricing.